Want to create fabulous firework art for a special holiday like Memorial Day, the 4th of July, or New Years? 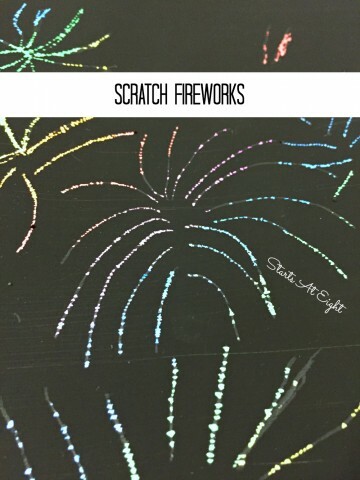 Check out this fun and simple way to create fireworks of your own! 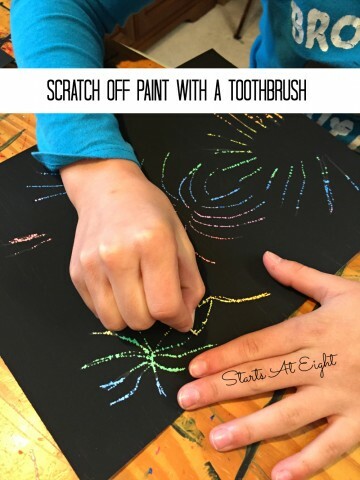 Using a few simple supplies your kids can create scratch art fireworks to celebrate anything! These are great for creating around some of the major holidays like Memorial Day, July 4th and New Years. 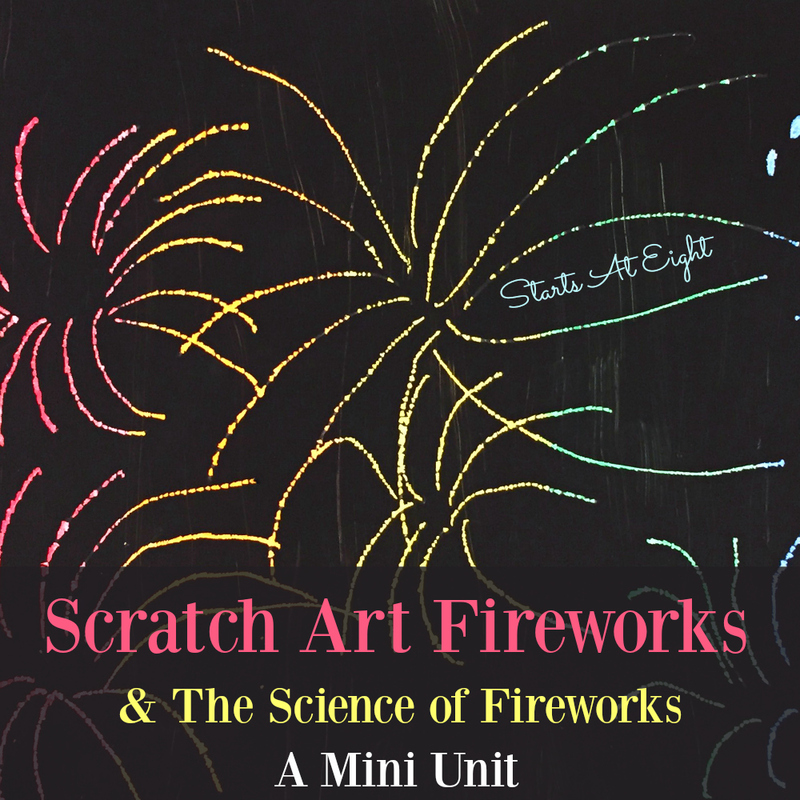 You can even turn it into a mini unit study by adding in some information and resources about fireworks. How Fireworks Work – a website explaining the science behind them with vocabulary explained and more. The Explosive Story of Fireworks! (History of Fun Stuff) – In this book readers will learn all about how they were invented in China over 2,000 years ago, how Queen Elizabeth I created a special honor for the person who created the best fireworks, and much more! There’s even a fun quiz so readers can test themselves to see what they’ve learned! How It Happens At The Fireworks Factory – A look into how they are made. 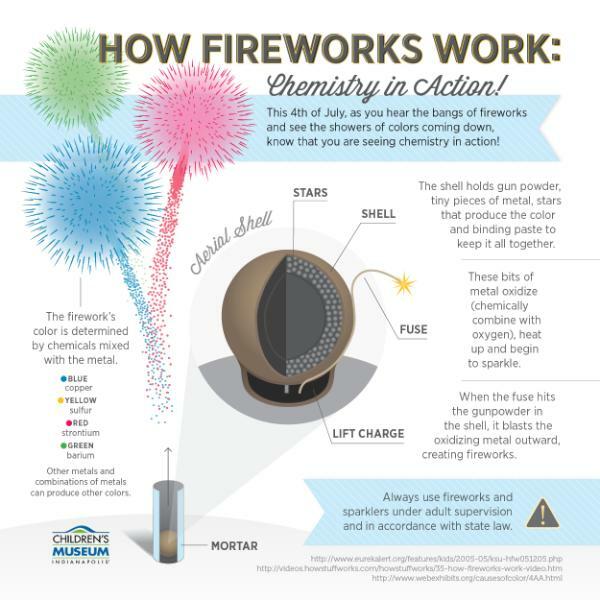 The Science of Fireworks – Check out this article on the science of fireworks and consider doing the fun activity! Fireworks! : Chemical Reactions (Raintree Fusion: Physical Science) – How do they get their colors? And why do they explode? Read this book to learn all about the chemical and physical properties of materials, as well as firework safety. 1. Look at pictures, watch a fireworks display, and read about the science of fireworks. Also talk about how to be safe when using them or watching a fireworks display. 2. 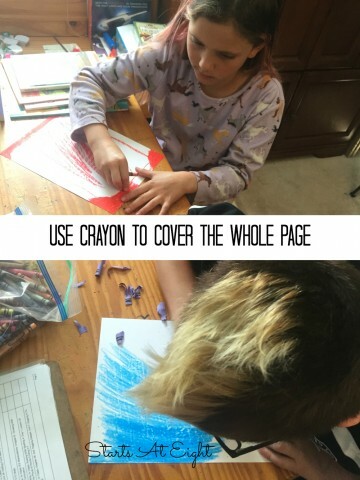 Using a piece of poster board have kids color the entire sheet with crayon using a variety of bold firework colors. None of the poster board should show through when they are done. 4. Once this is completed, paint over the entire piece with black paint. 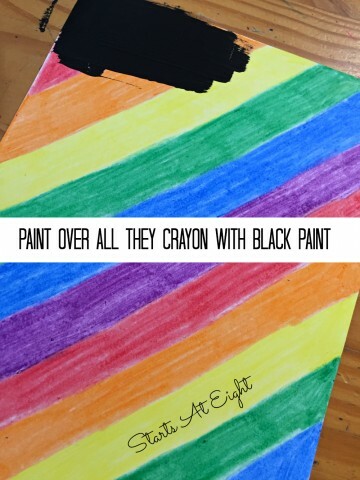 (Black like the night sky) The paint should cover the entire crayon work, but not be so thick that it will crack when it dries. What a fun idea for a unit study! Love the art project – we’ve done something similar using paper bags and creating aboriginal art. I’ll have to add this one to our schedule – I think my daughter would love it (and who wouldn’t want to learn about fireworks?)! This is a great time of year for this post! I didn’t know I could make our own scratch off paper. Thank you so much for a great tutorial. My kids are going to love it! As we were doing it my children pointed out that it was like those scratch ones you can buy. I think they are going to make them to scratch other things as well! I never even thought of making my own scratch art paper. Wow. Gonna have to try this now. Right? Instead of having to get to the store to buy more, we easily made a stack of them for our kids to use! My kids love scratch art. I never thought of doing it for fireworks, but what a great idea because the sky is black, and the colors underneath looks so spectacular! I was so pleased with how the colors popped on these! It was fairly simple, fun, and the end result was fabulous!